Even better, many of these wines are from around the country and steeped in American history. So pick and wine and raise a glass to our amazing country and all the freedoms it allows us every single day. Never heard of blue wine? Read on to discover what you've been missing. Red wine lovers are a pretty dedicated bunch and many loathe to give up that big chewy glass in the summer months. But those Cabernet Sauvignons and Brunellos often are heavy this time of year. They generally are higher in alcohol (which means that's tough to drink all day by the pool), and the flavors from the oak barrels that these wines are made in often overpower your lighter summertime foods. But there are a ton of lighter red options that can be chilled and served all day. Yes, chilled. You absolutely can and should put your red wine in the fridge. Try for just 30 minutes if you're afraid it will get too cool, says Christy Canterbury, a Master of Wine based in Brooklyn, N.Y.
Or throw it in an ice bucket with ice and a little water. Either way, a chilled red wine in the summer can be completely refreshing - and totally acceptable. -Illahe 1899 Pinot Noir, Oregon. Illahe Vineyards makes its 1899 Pinot without electricity or any other modern day winemaking equipment. Really. The grapes are picked by hand, they use a power pump that's connected to a modified bike, and they paddle the wine down the river in a canoe to transport it. So if you're trying to evoke your inner colonist this weekend, this may be the throw-back you need. 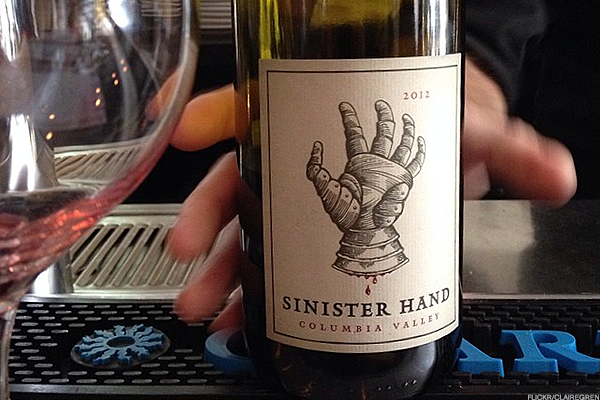 -Owen Roe Sinister Hand, Washington. This red wine is considered a Rhone-styled blend it uses the same grapes of the Rhone Valley of France -- 63% Grenache, 16% Syrah, 16% Mouverde, 5% Cinsaut. "This style blend works great with BBQ," says Canterbury. But the best part of the story behind the label. Back in the 17th century, when two revolutionary Irish families - the O'Neills and O'Reillys - formed a rowing competition to reserve rights to some highly-regarded land. They agreed that the first to touch the land, after rowing across the lake, would become ruler of the land. O'Neills' boat was falling behind so a member of the crew grabbed his own sword, cut off his hand and threw it ashore, winning the title to rule the land. This land still remains in the O'Neill family. The Gamay grape is delicious, especially for Pinot lovers. It's delicate and earthy and makes light-bodied red wines that go great with food. Perfect for your summer . 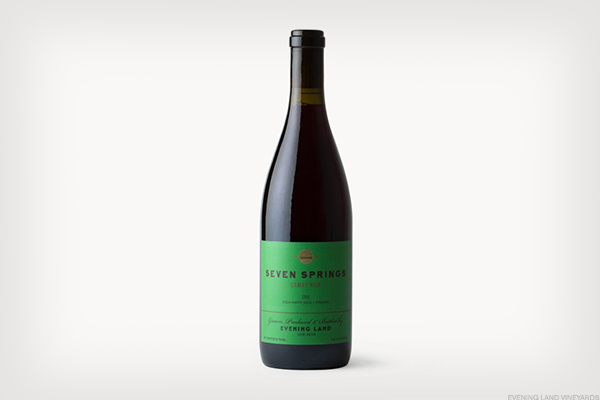 Evening Land Vineyards makes a lovely Gamay wine from its Seven Springs Vineyard. 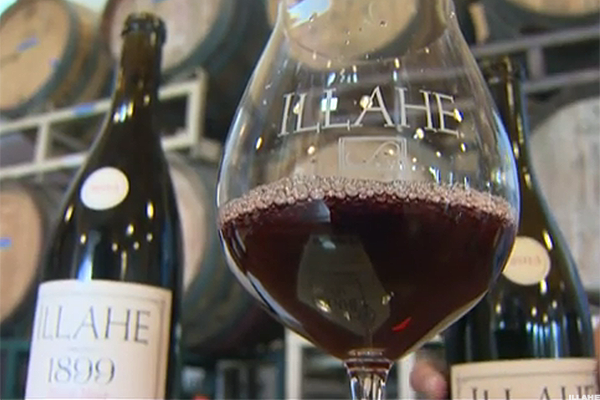 The grape grows well in cool climates, which is why it is typically grown in France and Switzerland, but Oregon is making some Gamay wines that are fantastic. While white wine seems obvious in the summer, experiment with some different grapes. Most people are apt to grab a Sauvignon Blanc or a lighter Chardonnay, but there are some Bordeaux-style blends being made in our country that will blow away their French counterparts. And, yes, white wine needs to be cold. No questions asked. And again, especially in the super-hot months, you may want to stay away from wines with a ton of oak in their flavor profile. So those big buttery chardonnays may not work so great with your lighter foods and the pool. Those wines that are leaner and more lemony are perfect for the hot summer months and those long lazy hours by the pool. 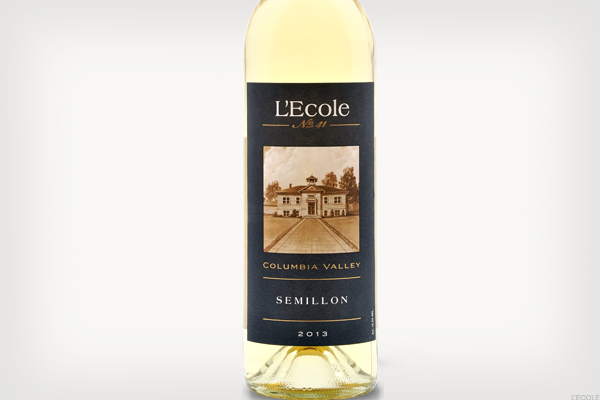 -L'Ecole #41 Semillion, Columbia Valley Washington State. The Semillion grape is grown widely in France and often blended with Sauvignon Blanc. And that's exactly how this wine is made in Washington. It is mostly Semillion, which has aromas of pear and apple and a similar taste profile. A little Sauvignon Blanc is added so the wine has a little bit of body and a ton of flavor. "It's a white with some texture so if you have someone who would typically want a Chardonnay, this would make them happy," says Canterbury. Pour this with some fish, a salad with fruit, or on a raft in the pool. The Finger Lakes might be one of America's next great wine regions. It has a similar climate and soil as Germany, which makes some of the world's best Rieslings. 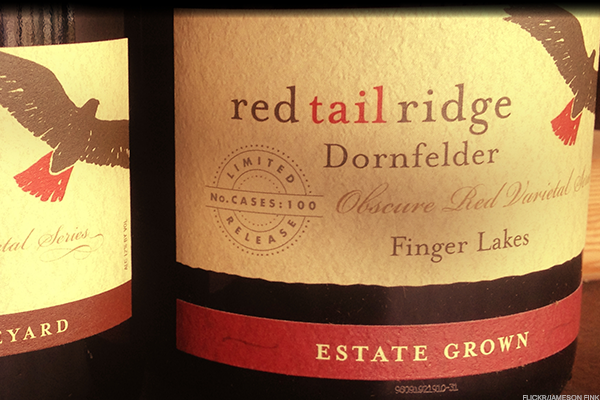 So it's no surprise that Riesling is a Finger Lakes specialty right now. Riesling is a great wine for summer. It doesn't have a ton of alcohol, it goes with a ton of foods - especially sushi and Thai - and has enough acidity to pair with your salads and greens. Let's be clear. 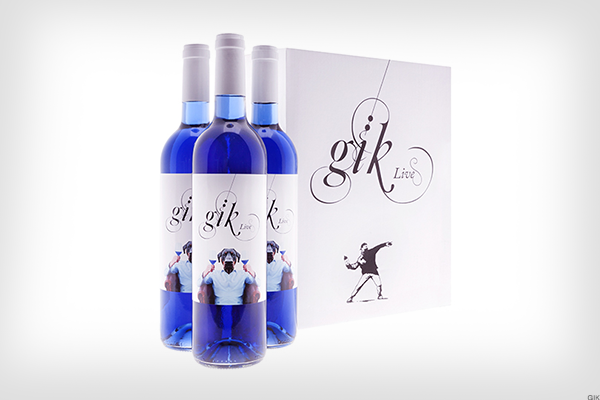 There is no such thing as a natural blue wine from a grape. Period. End of story. When you squeeze a grape, nothing blue comes out of it. And while science is creating new things by the second, at this time, there are no blue grapes. Blueberries are a very different story and people do make wine from blueberries. But wine made from grapes is not blue. "White, pink and red are defined under European Union wine laws," says Canterbury. Not blue. That being said, if you are looking for something blue and festive, we have a few options for you - though a none of them come from America. 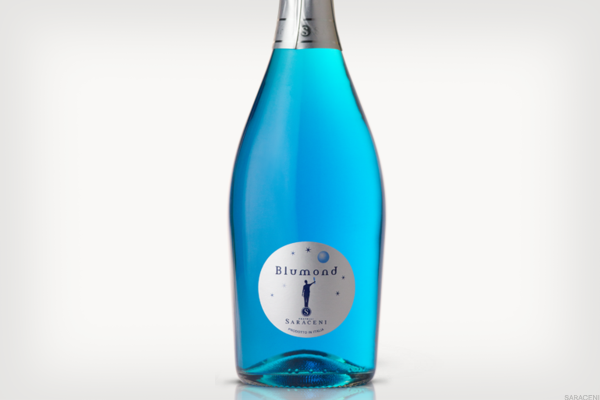 -Riondo Blu Prosecco, Prosecco, Italy. 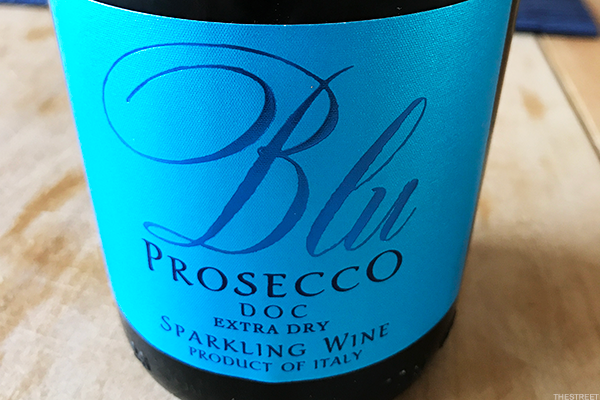 While the Prosecco is not blue in color, the bottle and the name are. So that's something. This is actually a combination of prosecco, peach, and blue curacao, so its basically a sparking cocktail in a bottle. While this is not available in the U.S., there has been a ton of buzz around it, because it was on its way here at one point. Then the Spanish authorities put a halt on it and said it couldn't be called it blue wine, because the makers added indigo dye. Minor detail. So the...uh...beverage...is still in Spain as its owners try to figure out the technicalities. Though many purists would race to the bathroom at the thought of any of these blue concoctions, if they somehow are a person's introduction to wine world, that can't be all bad. "If people are having fun with it, they will get interested in other wines," says Canterbury.